I am so excited that THE MAGNIFICENT GLASS GLOBE by N.R. Bergeson is available now and that I get to share the news! If you havenât yet heard about this wonderful book by Author N.R. Bergeson, be sure to check out all the details below. This blitz also includes a giveaway for a finished copy of the book and a DVD of Jumanji, courtesy of Tantrum Bookss and Rockstar Book Tours. So if youâd like a chance to win, enter in the Rafflecopter at the bottom of this post. One day, while mischievously exploring the museumâs warehouse with her brother Ike and best friend Helen, Mary stumbles across an old travel trunk belonging to her grandfather. The magnificent globe lets the friends zoom closer and closer toward the earthâs surface, eventually bringing them close enough to touch the trees. That's when the globe entirely disappears, and they find themselves falling. Sleep, water, and food become precious and scarce. A native tribe may hold the keys to their survival as well as clues to help them get back home. But it wonât be easy. The rain forest is a big place, and when others find out what the globe can do, Mary, Ike and Helen will need a plan, allies, and a little luck. Mary could tell by the smile on his face that he wasnât taking her seriously. âDad, if we send Mary to the Amazon, can I have her room?â Ike asked. âBut Dad! Please? Will you at least think about it?â Mary begged. âYes, sir,â Mary said, deflated. âIf we canât go to the Amazon, could we at least go to Disneyworld?â she asked, flashing her father a big smile. âOooohhh, Iâd like to second that motion,â Ike said, also beaming. âI volunteer to come as a chaperone,â Helen offered. âWhy me?â Dad said, raising both hands into the air while talking toward the sky. Mary and Ike laughed as they said goodbye to Helen, who waited as her father, the museumâs head of security, locked up the building. Iâll find a way to convince him, Mary told herself as she buckled her seatbelt. If there was a way, sheâd figure it out. After all, sheâd never given up on anything before. N. R. (Nils) Bergeson is the author of the âMagnificent Glass Globeâ series. Nils was born in California but spent his childhood at the foot of the beautiful mountains of northern Utah. From an early age, he was fascinated with the wider world, prompting him to earn a degree in international studies from Utah State University, followed by a Masterâs degree in Public Administration/International Management from the Monterey Institute of International Studies. He knew early on that his interests were as wide as the world itself, and that heâd find real joy living overseas. Since 2002, Nils has only spent four years living in the United States. He was a missionary in Siberia, spent time in Romania as a U.S. Peace Corps Volunteer, and has worked for several years in Colombia, Kazakhstan, Afghanistan, and now Indonesia as a U.S. diplomat/international development worker. Heâs traveled to more than 60 countries with his wife, Emily, and their three young children. 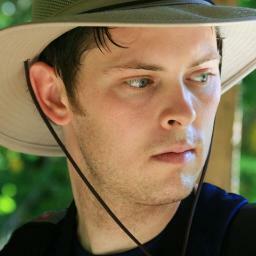 Nilsâ love for writing, which began in the second grade, complements his globetrotting ways well. He hopes his writing will instill a desire in his readers to take advantage of modern opportunities to see the world, learn new languages, and expand their cultural experiences. We live in a wonderful world, and itâs just waiting for us to see it. 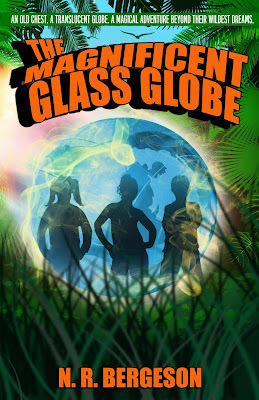 1 winner will receive a paperback of THE MAGNIFICENT GLASS GLOBE & A DVD of Jumanji, US Only. The giveaway will be open until April 11th at 12:00 a.m. Eastern.